Daily Sugar Recommendations for Kids | Advance Childcare, Inc.
It’s common knowledge that too much sugar for children is a definite no-no. However, when presented with varied options, it can be hard to keep track of just how much sugar your children should consume. This becomes particularly difficult when your kids are picky eaters. You might not see it immediately but too much sugar intake can cause multitudes of health problems such as tooth decay, diabetes, hyperactivity, obesity, digestive problems, and heart problems. Minimize soda, powdered juices, and other sugary drinks. Bake your own cakes, cookies, and pastries, and make sure that sugar isn’t one of the main or prominent ingredients. Try not to store sugary food in the house to avoid temptations. Award them the occasional favorite dessert once or twice a week. Try swapping ice cream with yogurt. But if they still scream for ice cream, try making homemade ice cream that is low in sugar. Up the serving of fruits and natural fruit juices in their diet. Instead of letting them have sugar-coated cereals for breakfast, trade those in for oatmeal, fruit yogurt, or fruit porridge. If cereal is still a top choice for them, try checking the label for the ones with the least sugar content. Make sure they drink enough water, especially after eating sugary treats. Prepare meals and snacks from scratch so you know exactly how much sugar you are giving to them. Be a good example and show them that you aren’t eating too many sugary foods either. 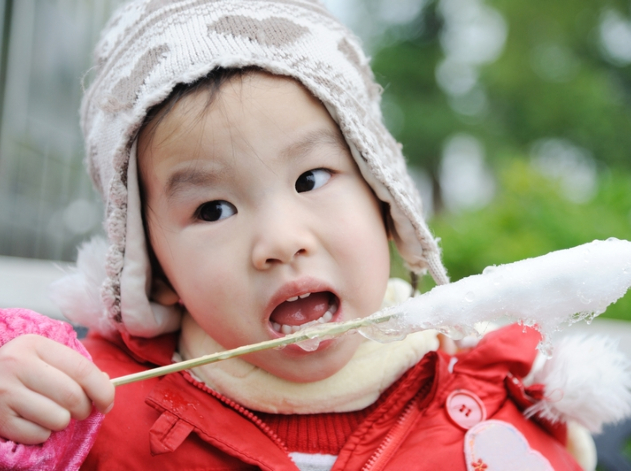 In an effort to lessen your little ones’ sugar intake, do not tell them that sugar is bad for them. They still need it as it is a vital source of energy. Just help them understand that some foods are better for their bodies, more than others. For your children going to school, CACFP Management is important in ensuring that your efforts of keeping them healthy at home are continued at school. Advance Childcare, Inc. encourages the growth of Child and Adult Care Food Program in Texas to maximize efforts toward health improvement and lifestyle changes. Should you have any questions, please do call us at 903-872-5231.